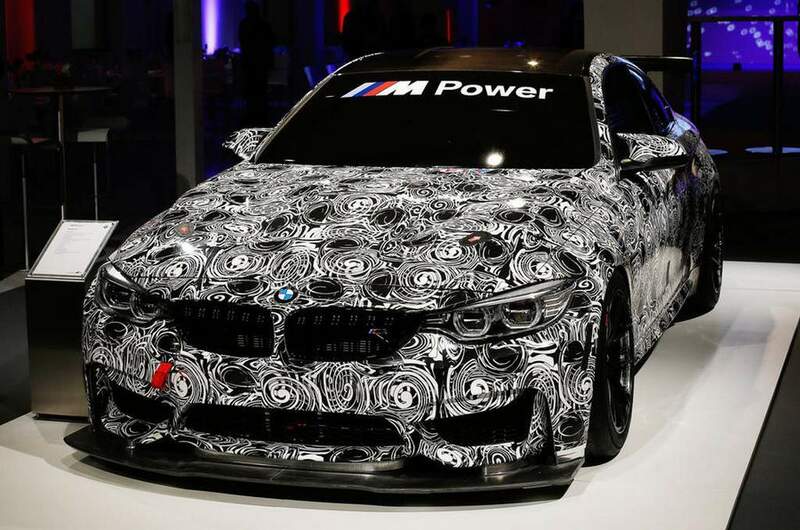 BMW Motorsport surprisingly displayed the M4 GT4 racer at this year’s season review event in Munich for the first time hiding underneath a swirling camouflage. 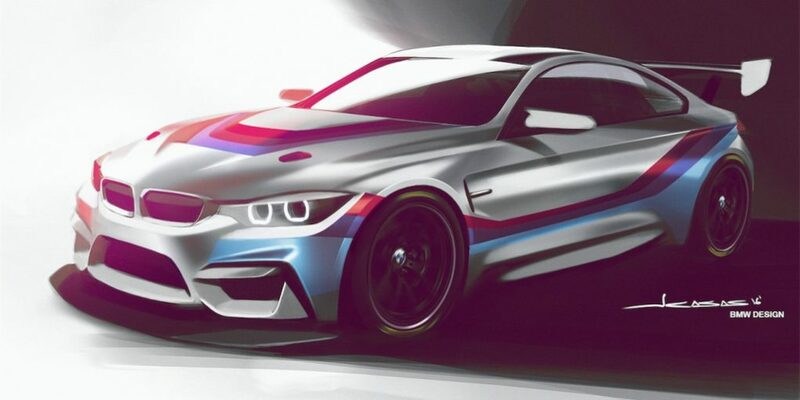 Successor to the popular M3 GT4 for the 2018 season was announced in July as the M4 GT4 is largely based on the BMW M4 Coupé production car and adds a competitive entrant to the growing GT4 category. BMW tries to keep its tradition intact in customer racing and GT4 sector plays as the perfect platform. The freshly developed GT sports car was said to make first test appearance at the end of 2016. With the early start to the preparation, customers are believed to have a technically perfected car available for the start of 2018 season. 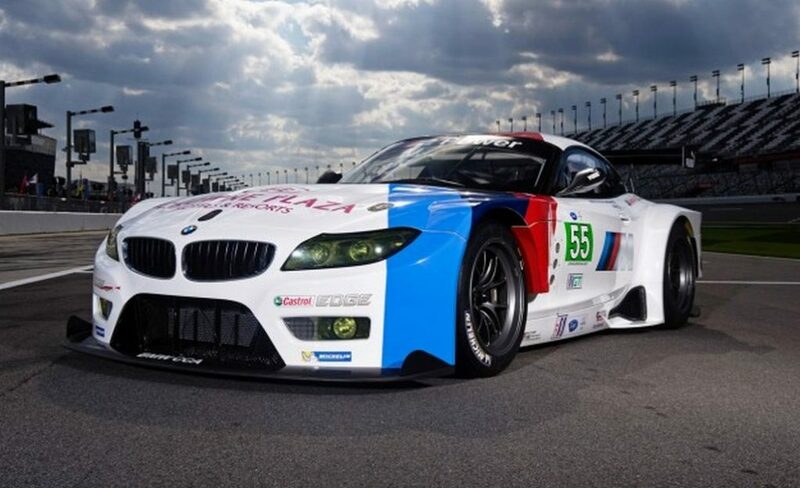 It will be looking to emulate the success of the M3 GT3 which goes racing in international series currently. The sporty and stylish M4 Coupé provided a strong base for the engineers to build a race car that bridges the gap between the flagship M6 GT3 race machine and the M235i Racing for newcomers. The design of the M4 GT4 is highly adaptable according to BMW and is simple for privateer teams to work on. High level safety standards and top-notch quality are ensured as track-focussed driveability and low maintenance costs were the core areas BMW had been pushing for during the development phase. The powertrain and electronics are derived from the production M4 Coupé while the carbonfibre bonnet is taken from the BMW M4 GTS. A twin turbocharged, 3.0-litre, straight-six engine driving the rear wheels produces 431 horsepower as standard in the road-going car but the GT4’s power output will vary based on the Balance of Performance equalisation. The M4 GT4 features carbon fibre doors, motorsport influenced front splitter and rear spoiler with a race-spec exhaust system. The brakes, bucket seats and pedal box utilise solutions adopted from the M6 GT3. Customers who buy the M4 GT4 are open to choose the category in any country they wanted to race in around the world. Popular motorsport destinations like Germany, North America, other European and Asian countries form the ideal conditions for the M4 GT4 to compete in. BMW Motorsport will also nurture talent in the developing categories and bring them closer to GT3 class as part of the Junior Programme. Deliveries of the first set of M4 GT4 cars to customers will be during the second half of next year and the competitive track debut is expected at 24 Hours of Dubai in January 2018.